Reminiscent of Santa's suit, this festive flower features rounded, red petals with white highlights in the center and all around the edges. 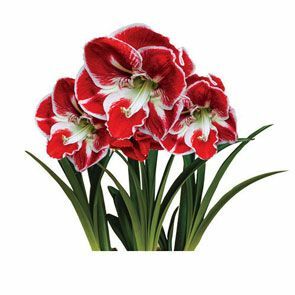 The show starts as soon as your amaryllis arrives, already sprouting and ready to grow. In just a few weeks, the healthy stalks will reach their full height of 18-24", with four to five 8" blooms per stem. The perfect gift for a favorite, niece, neighbor or friend. 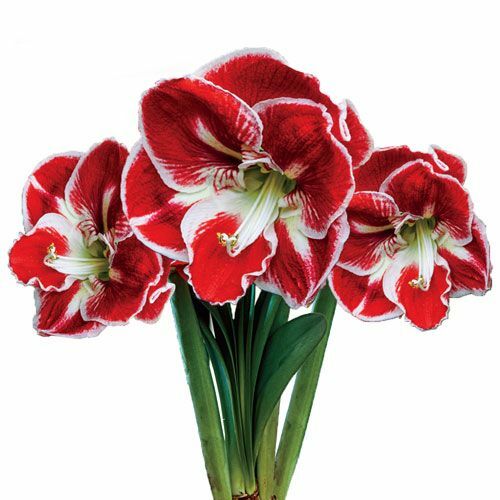 Comes with detailed blooming instructions for this year and for reblooming in years to come. Wrapped in green foil for gift giving through the season.